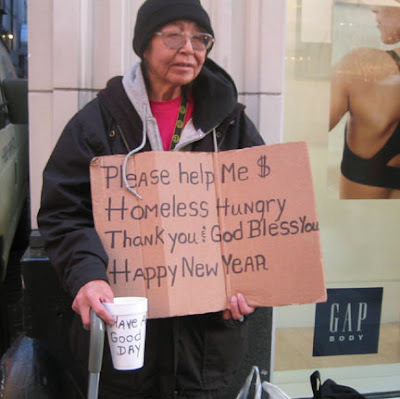 mauro santayana english: CAPITALISM AND POVERTY IN THE U.S.
CAPITALISM AND POVERTY IN THE U.S.
Capitalism, say some advocates, was a great human invention. According to this theory, the system was born from the ambition of men and the striving for wealth, personal power and public recognition for individuals who stood out in the community, and could live longer and better at the expense of others. All these objectives required the commitment of time, strength and mind. It was a way for what was called "civilization," although there were others, more generous, and in pursuit of justice. Like all processes of life, capitalism has its limits. When you get past the looting and plundering, and this has occurred several times in history, there are major crises that almost always lead to bloody conflicts, internal and external. Foreign Affairs magazine reflects the concerns of the American intelligentsia (both the left and right). Published in its latest issue is an excellent essay by George Packer - "The broken contract, Inequality and American Decline." Packer is a man of the establishment. His parents are professors at Stanford University. His maternal grandfather, George Huddleston, of Alabama, was the Democratic representative in Congress for twenty years. The journalist shows that social inequality in the United States has worsened over the past roughly 33 years - from 1978. That year, with high rates of inflation, the increase in gasoline prices, higher unemployment and widespread pessimism, there was a major change in American life. The great interests acted in order to charge the crisis to the state of social welfare and regulation of economic life that came from the New Deal. Public opinion was intoxicated by this idea and gave confidence in the established social commitment in the years during the 30s and 40s. According to Packer, this commitment was that of a middle-class democracy. It was an unwritten social contract between labor, business and government, which ensured wider distribution of the benefits of the economy and prosperity after the war - as in no other time in history. A significant factor: in 70 years, is that the highest-paid executives in the United States received 40 times the salary of the lowest paid workers of their companies. In 2007, they started to receive 400 times more. In those 70 years, Packer records, the American elites were even responsible for the fate of the country, and with the natural exceptions, watched over by their institutions and interests. There is, the author ponders, a lot of injustice, especially against blacks from the South. Like all seasons, the post-war until 1970 had its costs, but the situation in 2011 had seemed bearable. In 70 years, there was stagflation, which combined economic stagnation with inflation and high interest rates. Wages were eroded by inflation, unemployment rose, and the confidence of Americans in government fell, also because of the Watergate scandal and the disaster that was the adventure of Vietnam. Capitalism seemed in danger and this alarmed the wealthy, who sought to respond immediately. They worked - especially since 1978 - to secure their position, making it even stronger. They tried to strengthen their influence by enhancing lobbyng, which has always existed, but, except for some cases, was limited to whiskey and cigars. Since then, bribery has become common practice. In 1971, there were 141 companies represented by lobbyists in Washington. In 1982, there were 2,445. Reagan's long and massive transfer of income in the country in favor the wealthiest Americans became more serious. It was constant, both in the best periods of the economy as the worst, under Democratic presidents or Republican, or Democrat to Republican majorities in Congress. Representatives and Senators - always with exceptions - started to normally receive bribes from Wall Street. Packer cites the statement of Republican Robert Dole in 1982, "The poor do not contribute to election campaigns." Packer goes deeper: inequality is like an odorless gas that reaches all corners of the country - but it seems impossible to find its source and close the tap. Between 1974 and 2006, the income of the middle class grew 21%, while that of poor Americans grew by only 11%. The incomes of one percent of the richest grew by 256%, over ten times those of the middle class, and almost tripled its share in total income of the country, 23%, the highest level since 1928 - the eve of the Great Depression. This registered growth came from before. From Kennedy to Bush the second, slower before Reagan, and then faster, the American rich have become richer. Inequality, Packer concludes, favors the division of classes, and imprisons people in the circumstances of their birth, which constitutes a historical denial of the idea of ​​the "American dream." He concludes: "Inequality divides us in the schools, between neighbors, at work, on airplanes, in hospitals, what we eat, our physical condition, what we think, the future of our children and even about our death." Finally, inequality is exacerbated by the boundless ambitions of capitalism, not only with violence against ethics, but also against logic. It's crazy, it's madness. To the whole world - the commentary is ours - there was imposed due to the absence of statesmen ready to react, the same pattern of inequality seen with Reaganism and Thatcherism. The most recent economic crisis, caused by the greed of Wall Street, served as a lesson to those servile to the rulers of money, who were handed to the salaried technocrats of the international financial system. Yesterday, Mario Monti, a Goldman Sachs man, placed in power by the creditors of Italy, was still demanding of the Parliament the security of remaining at the leadership of government until 2013. This means violating the constitution of the country, which gives the people's representatives the power of denying confidence to the government and, depending on the situation, calling elections. The right path is the more equitable distribution of national income, expanding the domestic market and thus combat inequality and submit the technocracy to political reason. It is necessary, among other measures, to keep a close watch on the private banks, mostly foreign, who are covering the shenanigans of its central institutions with high profits in our country and other Latin American countries.